On 7 November 2014, Lord Neuberger, President of the Supreme Court, gave the keynote address at the annual Bond Solon Expert Witness Conference in which he discussed the potential challenges that face expert witnesses arising from both human nature and the nature of the trial process. “a witness who gives opinion evidence to the court on technical, scientific or other specialist issues, which the court considers appropriate for expert evidence”. “Expert witnesses and indeed the courts would do well to bear this sort of potential development, change of tack and correction of mistakes in mind”. Lord Neuberger also warned of the dangers of the reliance on statistics, commenting that, “statistically reliable information at its best can be very powerful, even conclusive” but that many people, including judges and arbitrators, can be “over impressed with figures”. He cited the example of one Professor Meadow, an expert witness who stated in trial that the chance of losing two children to cot death was 73 million to 1, a statistic that largely contributed to the conviction of the defendant. This statistical evidence ignored the possibility of two deaths being connected and he was later found guilty of professional misconduct. Due to the “woeful” understanding of the general public on statistical evidence, the figures presented can be misleading. Lord Neuberger further expressed concern over the use of single joint experts due to the temptation for the expert to take less care in preparing his evidence than he might do if he knew there would be someone equally knowledgeable testing and challenging his evidence from the ‘other side’. Further to this point, Lord Neuberger questioned the current method of consecutive cross-examination of expert witness as being the best method of testing the expert evidence. He called it “good theatre” but “gladiatorial and artificial”. A suggestion Lord Neuberger put forward as a possible alternative was “hot tubbing”, where the experts gather together under the chairmanship of a judge and lawyers, to discuss the evidence and their views on the same. He caveated this suggestion by saying that a “statistically meaningful number of cases” using each of hot tubbing and the adversarial approach should be gathered, so that it is “possible to assess the relative merits of the adversarial and hot tubbing systems”. He went on to discuss the inevitable pressure that expert witnesses face from their clients and the fact that this can lead to a natural bias. The expert will have seen all the documents which support the client’s case so that they may feel “part of, or sucked into, the client’s team”. The client will be paying the said expert and the expert may have initially given optimistic advice (often for the sake of securing the appointment), which they will want to stick to as far as possible. These pressures could lead to the temptation of bias. Lord Neuberger concluded on the admission that we cannot “eradicate the vagaries and imperfections of the human condition or of the nature of the trial process” but experts must do their best to discourage and neutralise these challenges. Would there be a written-out version of Lord Neuberger’s address available to read? Good morning, i have read your article on expert witnesses. This article comes at a very crucial time during the last 6 years. I have been pursuing a negligence and have been told today that my advocate/legal team are going to abandon the case in favour of 1 expert witness, who has been retired for many years, as he is siding with the doctor who in his opinion was not negligent, although we have 2 experts who say otherwise, the advocate is unwilling to fight and is just giving up based on this 1 expert, this is why your article was a breath of fresh air and provides me with some clarification. 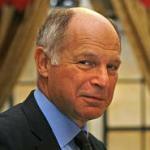 Leave a reply on "Lord Neuberger: address to the annual Bond Solon Expert Witness Conference"